Jerry Seinfeld has caught flack in the media for becoming a bit of a curmudgeon. Jerry Seinfeld is not too happy with young people. In a few recent appearances, including Late Night with Seth Meyers, the comedian bemoaned the tendency of millennials to disapprove of “politically incorrect” comedy. 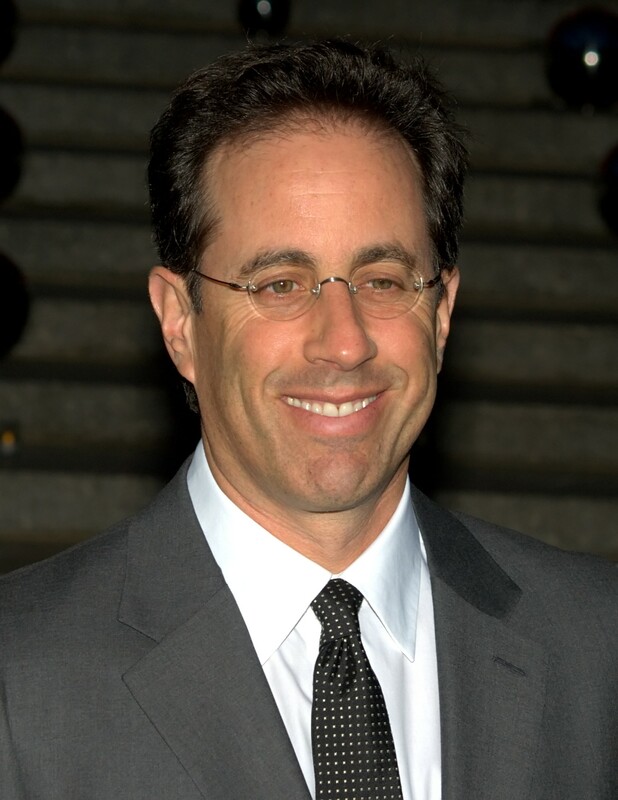 Using an audience’s muted reaction to a joke as his example, Seinfeld is worried hypersensitivity is damaging comedy as a profession and art form. The joke in question uses a stereotype of gay men with flourishing hand motions. By walking around all day scrolling through our cell phones, Seinfeld says, we all look like a “gay French king.” When telling the joke, Seinfeld can sense the audience’s disapproval of his use of the word “gay.” He blames the joke’s bad landing not on its own iffy quality but on the politically correct nature of audiences, particularly younger, liberal, college audiences. As a result, Seinfeld says he won’t play colleges anymore. Many of these are valid points, but they take this all much too seriously. The whole thing is a bit. It sounds like Seinfeld is pitching a sincere gripe – and to him there’s much truth in his words – but all comedy is complaining. George Carlin even has a special called “Complaints and Grievances.” The bit isn’t about the gay French king; it’s about how audiences are so politically correct they can’t even hear the phrase “gay French king” without getting uppity. Most people aren’t really so thin-skinned. The consensus on the joke seems to be that it’s not especially offensive; it’s just kind of stupid. According to Seinfeld’s own routine, nobody complained to him directly. He didn’t receive letters. No one even booed. He just “sensed” the audience’s judgment. Probably, Seinfeld is astute enough a professional to sense the provocative tone in the joke on his own, without being told about it. This is precisely why he uses it to set up the bit about political correctness. It’s extremely mild, but it prods almost trollishly at modern sensibilities – just as most comedy does. 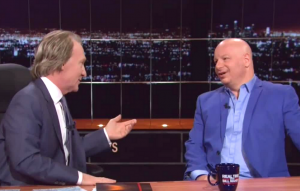 On Real Time with Bill Maher, the host and comedian Jeff Ross came to Seinfeld’s defense. But the negative reaction to the gay French king joke has little to do with political correctness. Comparing us all to gay French kings is supposed to force us to recognize some embarrassing behavior. In a more accepting society, it’s just not as embarrassing to be compared to a gay, trans or effeminate person, or even a French one. It’s like Seinfeld saying the phone makes the user look womanly. What’s offered is not a deep, revealing truth, which might generate a loud guffaw. It’s a silly observation, which might grab a chuckle from half the audience – exactly the kind of reaction Seinfeld describes. Try hard enough, and most jokes can be construed as offensive to one group or another. Louis CK lays into boring, stupid people all the time in his act. But lots of people are boring and stupid because they’re born that way, they weren’t raised right, or their jobs have turned them into joyless consumer zombies. No one chastises Louis CK for poking fun at these poor souls. If the gay French king joke is offensive, then it’s at least as offensive to French people as it is gay people – if, that is, the offense is the stereotype that one or both of these groups use effete gestures. Then again, why should that insinuation be offensive? There’s nothing inherently wrong with effete gestures. The more one goes about explaining how offensive a joke is, the more ridiculous a politically correct attitude toward it seems. If petitions were started and mobs formed demanding Seinfeld apologize to gay people, French people, kings, or whoever, that would be political correctness gone overboard. And Seinfeld would have a legitimate gripe. That would be a problem. But Seinfeld is mistaking eye-rolling for real judgment. The gay French king joke isn’t a homerun not because it’s offensive and his audience is all up in arms about it – it’s simply not challenging. By refusing to play colleges, Seinfeld is cementing his status – and he must know it – as an old fuddy-duddy of a comic. And that’s an alright thing to be at 61 years old. He’s growing older and his fan base is moving right along with him. That’s basically how comedy works. During the 80s, for instance, Bob Hope was still alive and still doing his act, but young people had no use for him with Eddie Murphy on the scene. Murphy was far more offensive than Hope, and earned a lot more dirty looks from the politically correct crowd, but he spoke the new generation’s language. Seinfeld’s show ruled the 90s, but he has no reasonable expectation of continued relevancy 20 years later. It’s actually encouraging to see him taking risks, even if he whiffed this one. George Carlin made the old curmudgeon act work; perhaps Seinfeld can, too. Perhaps the commentators are right, and it is Seinfeld who needs to grow the thicker skin. Hopefully he doesn’t put himself out to pasture by seeking out friendly audiences rather than adapting his material to stay cutting edge.